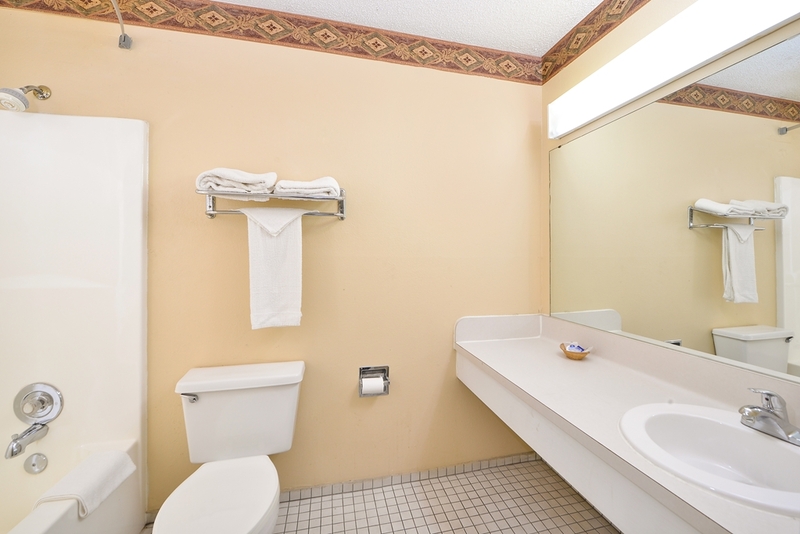 Welcome to Americas Best Value Inn and Suites Aransas Pass located right off of Route 35 in the historic fishing town of Aransas Pass Texas. We are minutes from Redfish Bay and the causeway bridge that leads to Mustang Island allowing easy access to all that the Aransas Pass area has to offer. We invite our guests to start your day off right with our free continental breakfast. Stay connected with free wireless Internet access in all guest rooms and public areas. Appreciate the convenience of our guest laundry facility. Step into the privacy and comfort of your own guest room featuring amenities including microwave mini-fridge hairdryer coffeemaker cable TV with HBO and ESPN iron ironing board and wake-up service. After a day of fishing or fun and sun at the beach enjoy a refreshing swim in our seasonal outdoor pool open February to November or have a cookout at our onsite barbeque facility There are several restaurants located within walking distance of our hotel including Popeyes Guadalajara Taqueria and The Bakery Cafe. Aransas Pass is host to numerous annual festivals including the largest shrimp festival in Texas Shrimporee in June the Maybe Hot Maybe Not Bike Ride in November and the Holiday Craft Show in December. Experience all that Saltwater Heaven has to offer and head out fishing with Saltwater Fishing Safaris or diving with Out to Sea Adventures. Do some bird watching at the Leonabelle Turnbull Birding Center or have an up close experience with local marine life at Dolphin Encounters. Play a round of golf at Newport Dunes Golf Club or head over to Sullys for some bowling. At Americas Best Value Inn and Suites Aransas Pass Weve Got You Covered from the time you hit the road until your head hits the pillow. Welcome to Americas Best Value Inn and Suites Aransas Pass located right off of Route 35 in the historic fishing town of Aransas Pass Texas. We are minutes from Redfish Bay and the causeway bridge that leads to Mustang Island allowing easy access to all that the Aransas Pass area has to offer.